A selection of the following products will be served at the various food stations to restore your energy reserves: water, isotonic drinks, coke, tea, coffee, hot chocolate, bread, cheese, salami, vegan spread, cake, cookies, fruits, raw vegetables, gherkins, different soups, potatoes with salt. Please note, that the entire product range will not always be available at each station. In your starter bag and at the feeding stations CLIF Bar is providing you with delicious energy bars made out of wholesome ingredients like organic oats, nuts and fruits, depending on the flavor. They also bring a long their new CLIF energy chews that are an ideal alternative for energy gels. V1: The Dorint Sporthotel Garmisch-Partenkirchen will be partner of food station 1 again and look after your first provisions. 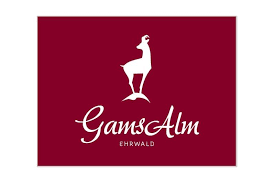 V2: Sabine and her Team from the Gamsalm will take care of you again at food station 2. V3: In food station 3, Pestkapelle, you can expect the boys and girls of WeRun4Fun, the co-organisers of the “trails 4 Germany – Blaubeuren” and even all enthusiastic trail runners! All supertrail and ultratrail runners will benefit from these original troop. After a short climb which you will made with motivated helpers, whistling and screaming you achieved the actual V3 with the accustomed high quality food from PLAN B and delicious homemade cakes by Birgit Klöppel. Helping Hands and smiling faces expect you shortly before your crisp the uphill toward the gatterl! V4: At food station 4 Hämmermoosalm Marco and his team from the Olympiaregion Seefeld will support and feed you again. V5: The Salomon and Suunto Team will be serving you at food station 5, TIROL.CAMP Leutasch. V6: Norbert Hensen is already an “old hand” at food station 6. Formerly known for the Finisher Club and knowadays for My next finish he and his team will spoil you again this year at V7 Ferchensee. V7: For the first time Volkswagen R is joining the ZUT as a new automobile partner and is waiting for you at the V7. True to the motto “recharge your batteries to get started in the next stage”, the team of Volkswagen R will welcome and feed you. V8: Sport Quartier awaits you at food station 8. You might know Margit and Hannes already from the previous years and know they always put on something special for you. V9 powered by LEDLENSER: The team of LEDLENSER not only provides a great headlamp service at food station 9 but also cares for your physical welfare and supports you. V10: The Salomon and Suunto Team will be serving you at food station 10 as well.